The ∞Olivia Jollota Memorial Trust∞ is seeking donations from businesses and individuals for our upcoming Annual Bowling Tournament and Silent Auction fundraiser scheduled for May 27, 2017. This event will be held at the Woodside Bowlarama starting at 7 pm. If you own a business or have a service/product you can offer we would love to receive it! Any item, gift certificate or monetary donation, no matter how big or small will be most appreciated! All proceeds of this event will go directly back to the ∞Olivia Jollota Memorial Trust∞ to grant scholarships to future post-secondary students at Prince Andrew High School. We will also be issuing money in the coming months to other organizations in our community that service animals and youth and those less fortunate which can benefit from Olivia’s generosity and kindness! 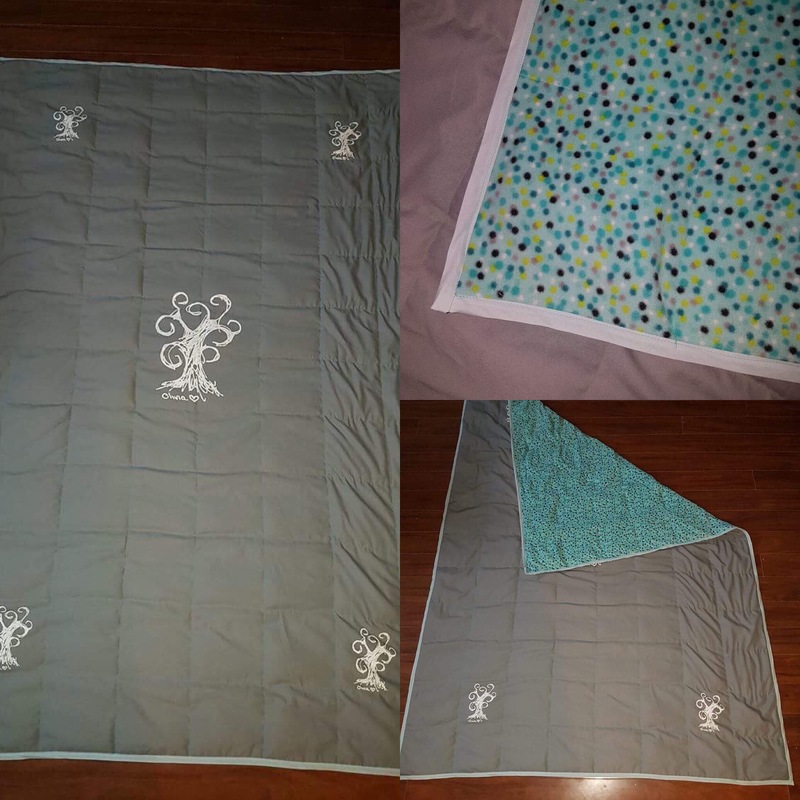 Courtnee Estabrooks, the talented creator at the heart of Courtnee’s Weighted Blankets in East Hants has created a beautiful, custom, double-sized, 20 lb. 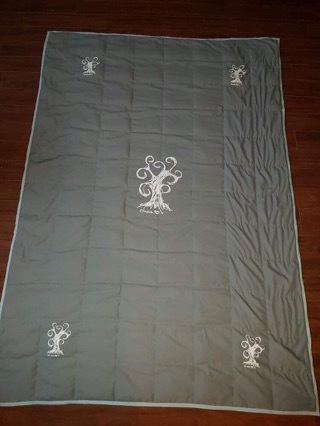 weighted blanket and matching pillows featuring Olivia’s Signature Tree. 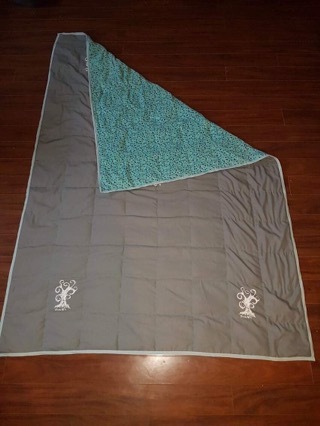 This gorgeous Weighted Blanket, valued at $350.00, will be raffled off with all proceeds to be donated to Olivia’s Trust! 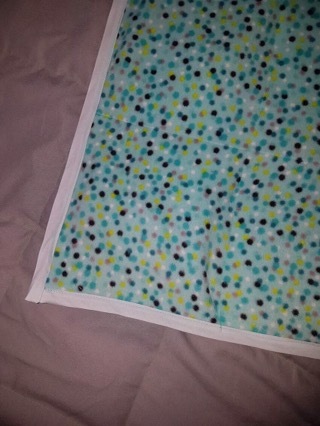 Tickets can be purchased by contacting Courtnee by email at courtneeestabrooks@gmail.com or through her Face Book page “Courtnee’s Weighted Blankets”.